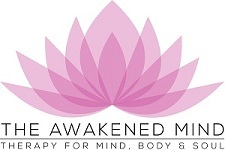 The Awakened Mind provide Mindfulness Based Cognitive Therapy (MBCT) for clients in Glasgow, East Kilbride, Hamilton, Motherwell and Lanarkshire. To make things as comfortable and easy for you as possible, our Mindfulness Based Cognitive Therapy sessions are carried out on a one to one basis in the comfort of your own home and surroundings. What Is Mindfulness Based Cognitive Therapy (MBCT)? Developed by John Teasdale, Zindel Segal and Mark Williams, Mindfulness Based Cognitive Therapy (MBCT) is a psychological therapy aimed at helping people who are prone to recurring bouts of depression. Mindfulness Based Cognitive Therapy (MBCT) uses a combination of mindfulness techniques including mindfulness meditation, mindfulness movement, visualisation, and breathing exercises (mind and body awareness). Mindfulness Based Cognitive Therapy (MBCT) also uses elements from conventional Cognitive Behavioural Therapy (CBT) to help break negative thought patterns which are associated with recurrent depression. Mindfulness Based Cognitive Therapy (MBCT) is approved and recommended in the United Kingdom by the National Institute for Health and Care Excellence (NICE) as an effective treatment for individuals who suffer from recurrent episodes of depression. It has also proven to be effective in clinical trials for preventing recurring bouts of depression. Research shows that Mindfulness Based Cognitive Therapy (MBCT) can reduce the risk of relapsing into depression by up to 43%. How Does Mindfulness Based Cognitive Therapy (MBCT) Work? Mindfulness Based Cognitive Therapy (MBCT) teaches and encourages individuals to develop a different relationship to the negative feelings of unhappiness or sadness by observing them without judgement. Mindfulness Based Cognitive Therapy (MBCT) also teaches individuals to focus on the present rather than worrying about the past or future, and to let go of negative thoughts which can tip them into depression. Mindfulness Based Cognitive Therapy (MBCT) also provides individuals with a greater awareness of their own mind and body which helps them to identify the signs of upcoming bouts of depression which may be looming, enabling them to fend off depression prior to it starting. To book an appointment, or for professional, friendly and confidential advice regarding Mindfulness Based Cognitive Therapy (MBCT), contact Kirsty at The Awakened Mind.